Welcome to the City Alerts System. And choose subscribe. If you are on a mobile device, you have to go to the full web site version. 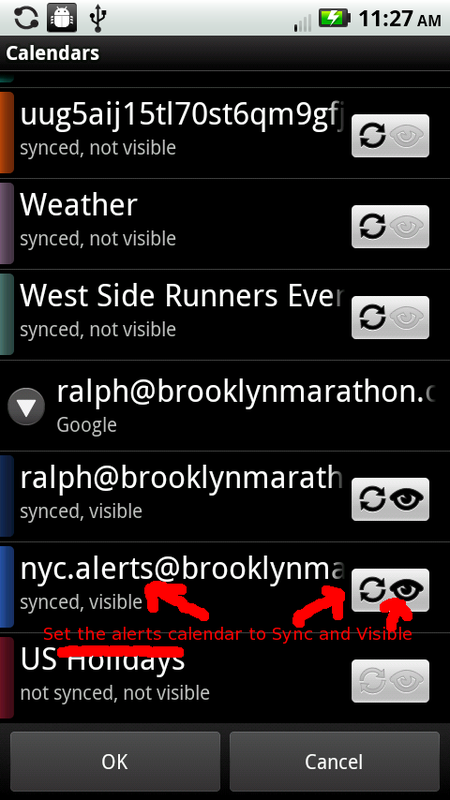 Also on your mobile device, you must ensure that the nyc.alerts@brooklynmarathon.com is visible and syncable. 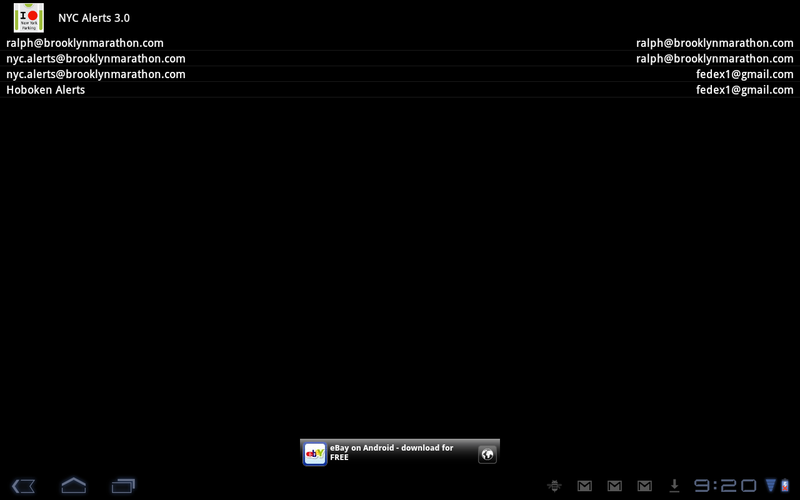 Here's an example of what you should see if you are using the web interface. 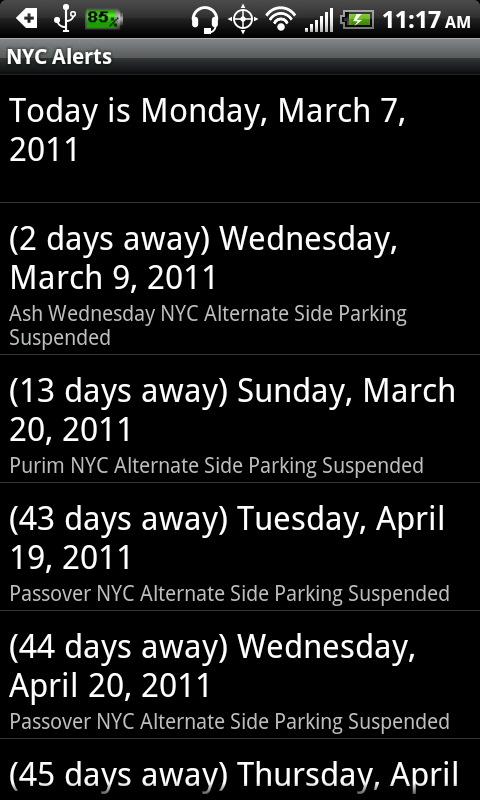 You would select "Yes..."
We are starting with Alternate Side Parking alerts and calendar events. But this can extend to all alerts. The simple idea is you should be able to easily and optionally subscribe (and unsubscribe) to alert calendars that you are interested in. We start with the calendar "nyc.alerts@brooklynmarathon.com" This calendar contains the NYC alternate side parking calendar and the important alternate side parking alerts. The advantage is that once the information is synchronized. You can view the information offline or online! 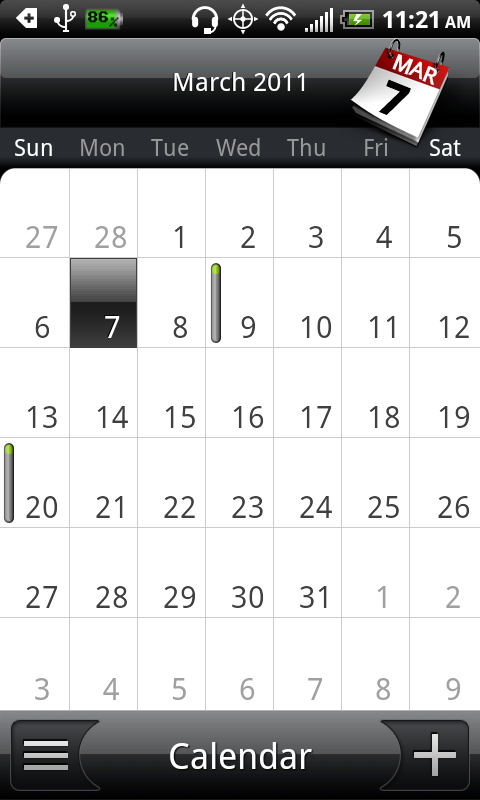 It also is integrated with the Google Calendar, so you can use Google Calendar to view it on mobile or web. 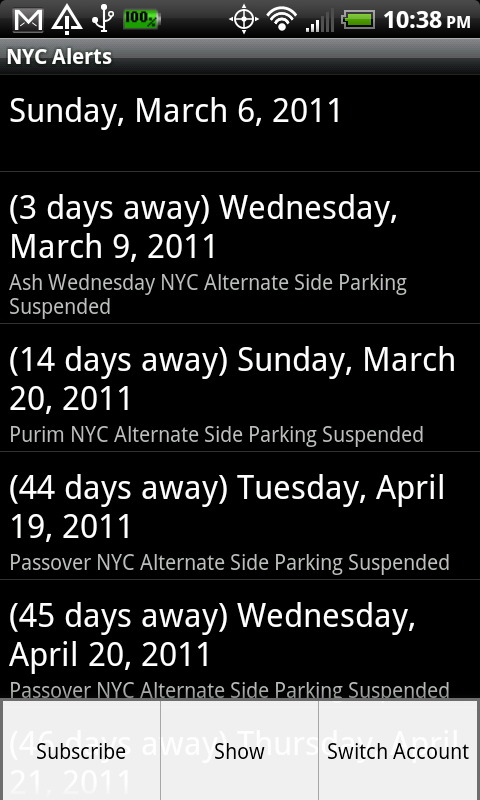 This application will subscribe you to a public alternate side parking calendar. 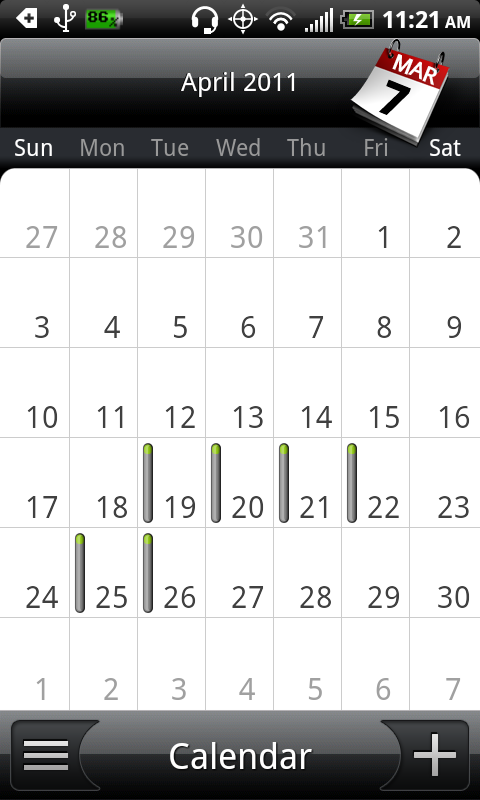 You will have control over whether you see the calendar and whether it is synchronized. 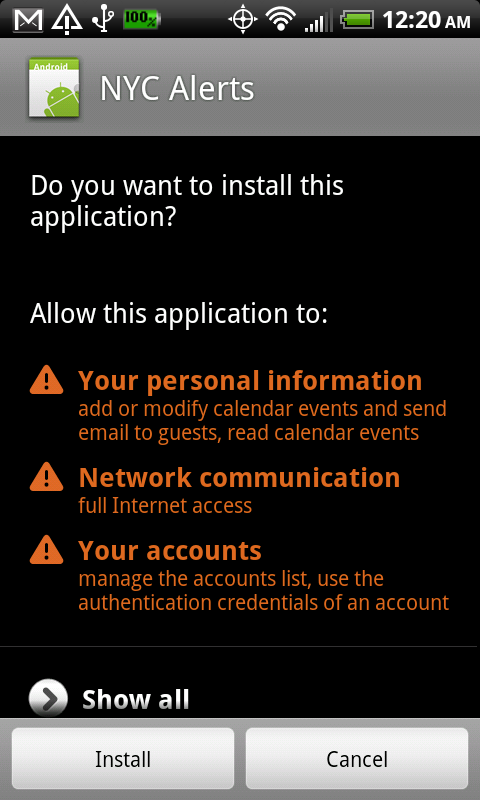 In order for the Alerts application to work properly, you must make the new calendar Visible and Synchronized. Use Menu->Subscribe to subscribe to the alerts calendar. 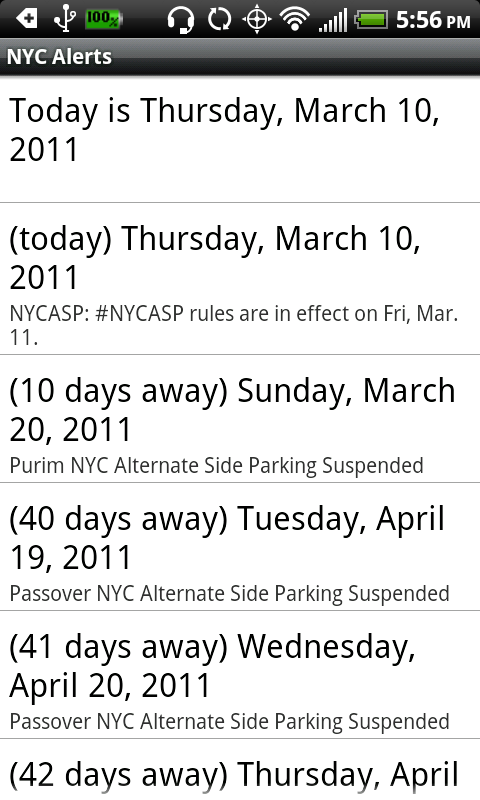 Here's an example of what you can see: If there is an alternate side parking suspension within 7 days you can park there.